Great for an Extension to Another Trip! On arrival in Rwanda at Kigali International Airport, you are greeted by a Capture Africa Tours representative and transferred to your hotel for overnight. You will enjoy a good nights sleep to start your journey in the morning. After breakfast, we take a Kigali city tour, including the Genocide Memorial Museum. We will enjoy lunch at one of Kigali’s popular restaurants, or at the Hotel Mille Collines (depicted in the film ” Hotel Rwanda”; the hotel became famous after 1,268 people took refuge inside the building during the Rwandan Genocide of 1994). After lunch we depart for Volcanoes National Park in the Virunga mountains and arrive at our lodge in time for dinner. The Mountain Gorilla View Lodge will be our home for the next 2 nights as we trek to see Mountain Gorillas and Golden Monkeys. We rise early to begin our adventure Gorilla trekking. At registration our group is assigned a guide and one of 7 families of Mountain Gorillas to visit. The hike can take anywhere from 1-3 hours to find the family. Once found, our visit is limited to only 1 hour to protect the Gorillas from exposure to human-born diseases. After our trek we will return to the lodge for lunch. In the afternoon you can choose to relax or go on an optional tour to a local village for insight into the transformed lifestyle of former gorilla poachers. Dinner and overnight again at the Mountain Gorilla View Lodge. Today we depart early again for our Golden Monkey trek. 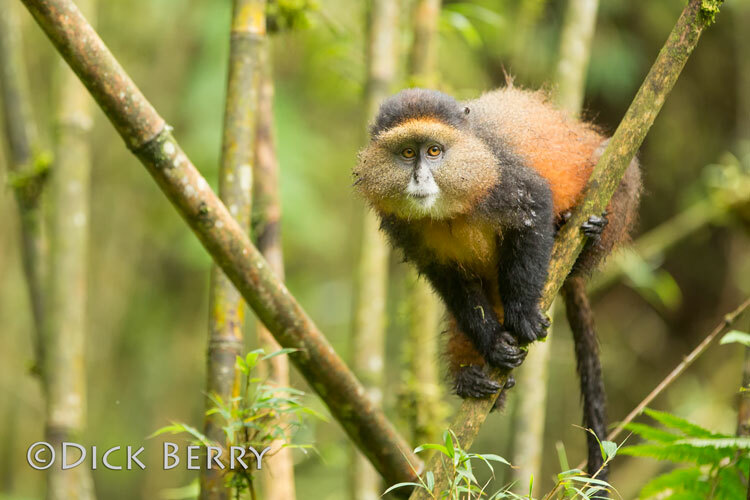 The Golden Monkey lives only in the bamboo forests of the Virunga Mountains of Rwanda, Uganda, and the DRC (Democratic Republic of Congo). The monkeys are extremely playful and entertaining to watch! The hike is less demanding than visiting the gorillas and can be viewed high in the forest canopy. We will spend one hour observing once found. Following the trek we will return to our lodge for lunch. Following lunch we depart and drive west to the shores of Lake Kivu where we spend the night. We have the morning a our leisure on the shores of Lake Kivu, a beautiful lake on the border of Rwanda and the DRC. You can take a swim in the lake, kayak, enjoy a boat ride, or just admire the gorgeous views. Following lunch at the hotel we drive back to Kigali and onward to Kigali International Airport for your evening outbound flight home or to your next destination. • Trek into the mountains of Volcanoes National Park to experience the last remaining great apes on earth. • This 5 day excursion will take you to Kigali to see the Rwanda Genocide Memorial Museum, Volcanoes National Park in the Virunga Mountains, and Lake Kivu. • Maximum of 6 participants on this tour to ensure the most up close and personal encounter with the Mountain Gorillas. 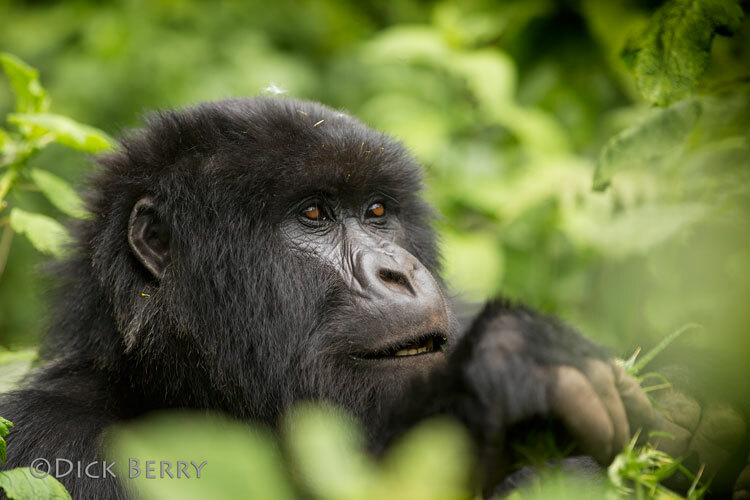 • See Mountain Gorilla’s, Golden Monkeys, and abundant species of bird life. You have always wanted to see the endangered Mountain Gorilla in the wild. You are passionate about nature and wildlife and love adventure. Taking a trek through the mountains to see Gorillas and Monkeys would be an experience of a lifetime! You would love the opportunity to capture your experience in photos and memories. Although we will spend time photographing the animals you don’t have to be a photographer to enjoy this trip. We welcome all nature enthusiasts and non-photographers. We make every attempt to follow this itinerary. However, certain conditions (political, climatic, cultural, environmental, or wildlife migration) may require changes. We reserve the right to alter any itinerary at any time, if necessary. We will notify participants of changes as far in advance as possible. Costs incurred by such changes will be the responsibility of the participants.